I’m Mike Routen, my family and I recently relocated to San Antonio, TX. 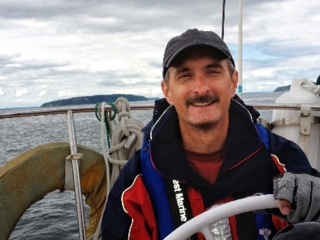 We spent the first half of 2012 living on our 34′ sailboat, Shannon, exploring the Puget Sound in Washington State. 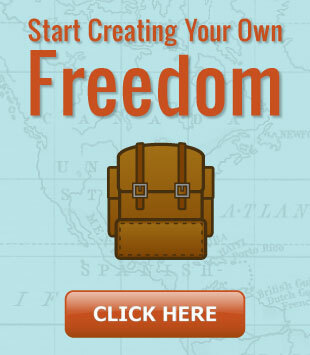 Route To Freedom exists to help you break out of the 9-to-5 grind and start living the life you were meant to live. My mission here is to help you look at the world around you in new ways, to realize that you are capable of so much more than you think you are and to help you find the happiness and satisfaction that comes from living life on your terms. I post a new article here a couple times a month. To make sure you don’t miss any new posts, join our mailing list. Being an adventurer and an optimist, I’ve lead an interesting life. In my youth I raced motorcycles, got my Private Pilot license and worked as a ski lift operator, snowmobile tour guide and volunteered on a local Fire Department. 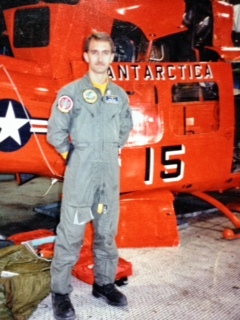 Seeking more adventure, I joined the Navy and became a Search And Rescue Medical Technician where I rappelled from Helicopters, rescued people and did a six month deployment to Antarctica. More about that here. After the Navy, I became a Helicopter pilot and instructor. Finally, when the tour company I was flying for sold their helicopter, I ended up working as a computer programmer, where I stayed for over 16 years. In 2011 I knew that I needed a change and started Route To Freedom. Now that I’ve found my freedom, my goal is to help you find yours. You need to wake up every morning looking forward to living the life you have dreamed of. Not dreading the day ahead. It is possible to do work that you love to do and get paid to do it. You don’t have to settle any more. You can email me, follow me on Twitter or connect with me on FaceBook. Due to not having constant internet connection, please be patient with me if you are trying to get a hold of me for the first time. We try to be online as much as possible, but cruising on a sailboat means having to give up a few of life’s conveniences some times. Route To Freedom is build on WordPress and uses the Canvas theme from Woo Themes. For hosting I highly recommend Dream Host as they have been most helpful when I needed it and have been a joy to work with. Note: some links on Route To Freedom are affiliate links. This means that those entities that I partner with pay me a small comission when there is a sale based on that link. You will never pay more because of these and I will never promote something that I am not using myself.